Your Campaign Case for Support – Giving Tree Associates, Inc. If you’re regular reader of this blog, you’ll know that we are in the middle of a series about capital campaigns. 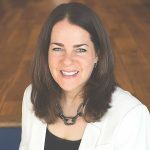 If this is your first time checking in with us, please feel free to go back a few weeks to learn more about what you’ve missed with regard to how you know if you are ready for a campaign, testing the goal, who you need on your team (and how to recruit them) and what you need in your campaign toolbox. One of the most important tools in your box is the case for support (aka case for giving, or case statement) and I promised to discuss its development this week. Your case will answer questions about the big, bold plan for your organization’s future and how the capital campaign allows your organization to achieve its vision. Your case for support should outline how this fundraising effort will make a difference to the lives of those touched by your organization and the long term impact you want to have. The role the reader can play in partnering in that effort – an invitation to be a part of the vision. How do we use a well crafted case? With a carefully constructed case, you have readily available information for letters, frequently asked questions (FAQs), PowerPoints, grant proposals, your website and social media. To ensure that your lay and professional leadership are all speaking the same language, your case for support should be the go-to document for all information about your campaign and should be regularly updated. Your case tells prospective donors what your organization hopes to accomplish with their gifts. A capital campaign case for support always includes a fundraising goal and often includes a very basic project budget so that donors are able to get a sense of where the dollars will be allocated (building purchase, construction/renovation, land acquisition, zoning, legal, landscaping, furniture, fixtures and equipment (FF& E) fundraising and marketing costs). It may also describe naming opportunities and other forms of recognition and offer visual aids such as photos or building renderings. Are you ready to give it a try? Be sure to check out this week’s freebie for an easy to use “case for support checklist”. Please contact us with any questions, and join me for next week’s conversation about the development of your capital campaign prospect list!